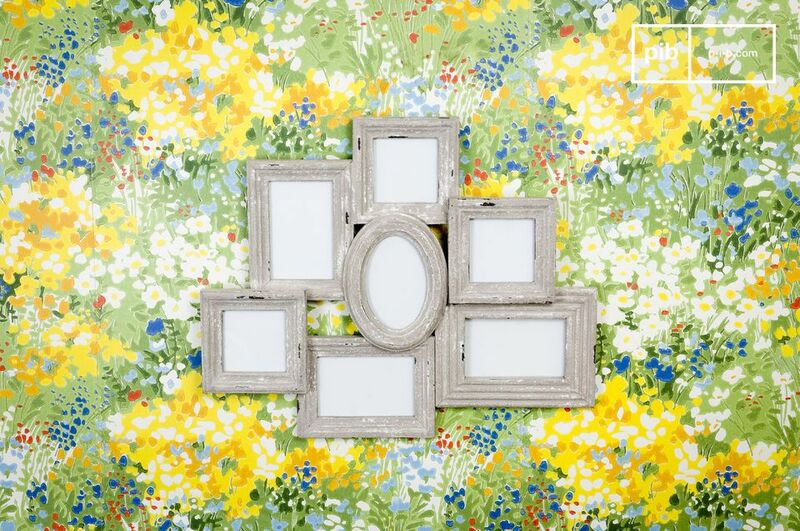 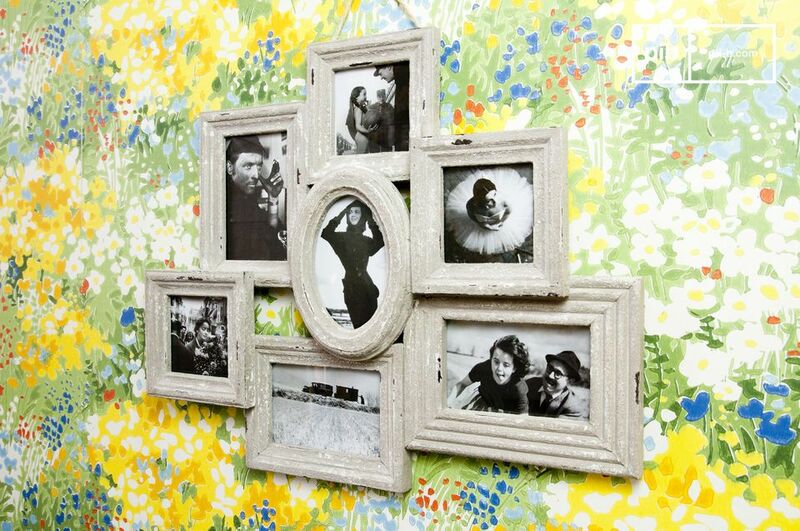 Retro and very trendy at the same time, this jumble will be perfect to group together your seven favourite photos. 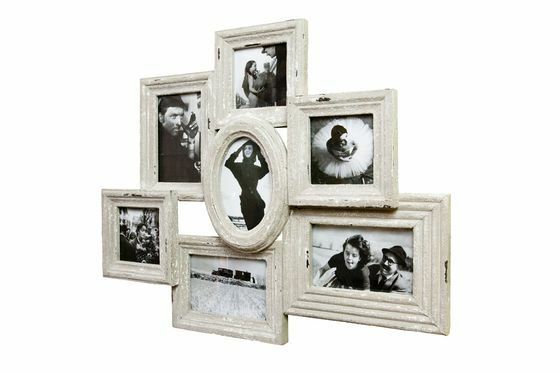 This distressed white wooden jumble can hold three 10 x 10cm and four 10 x 15cm photos. 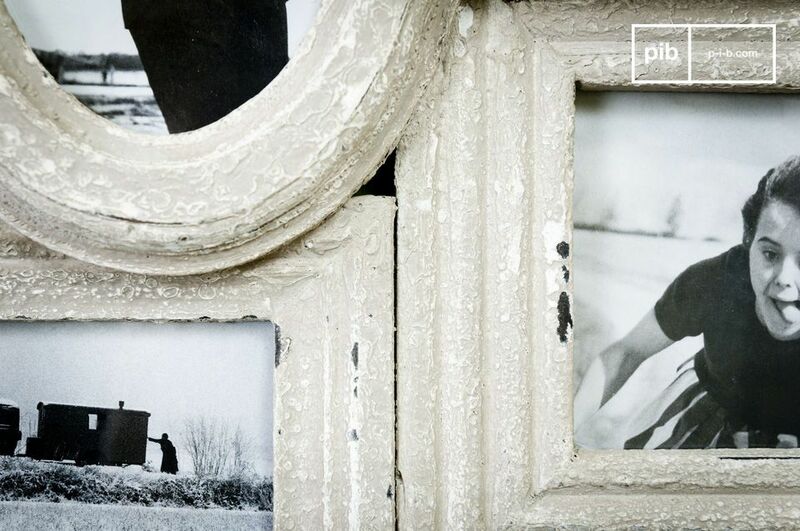 Mount it on the wall using the two fixing points at the back.